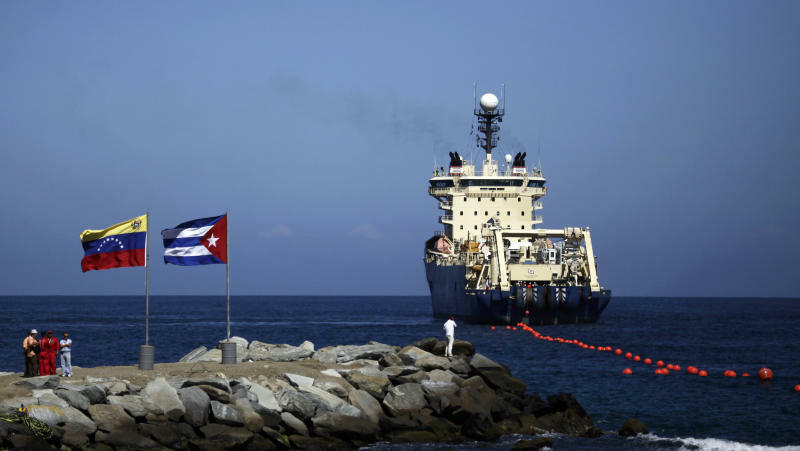 HAVANA (AP) — It was all sunshine, smiles and celebratory speeches as officials marked the arrival of an undersea fiber-optic cable they promised would end Cuba's Internet isolation and boost web capacity 3,000-fold. Even a retired Fidel Castro had hailed the dawn of a new cyber-age on the island. More than a year after the February 2011 ceremony on Siboney Beach in eastern Cuba, and 10 months after the system was supposed to have gone online, the government never mentions the cable anymore, and Internet here remains the slowest in the hemisphere. People talk quietly about embezzlement torpedoing the project and the arrest of more than a half-dozen senior telecom officials. Perhaps most maddening, nobody has explained what happened to the much-ballyhooed $70 million project. The cable was strung from Venezuela with the help of key ally Hugo Chavez. Government officials said from the start that the bandwidth boon would be prioritized for hospitals, universities and other usage deemed in service of the common good; the legions of Cubans with little or no access to the Internet from their homes would have to wait. But a dozen employees of public institutions interviewed by The Associated Press said they have seen no noticeable improvement in their work connections. If anything, they say, download speeds have even gotten a little slower. Going online in Cuba will try the patience of anyone who's ever had a taste of high-speed DSL connections. The problem is that connection speeds here are still Web 1.0, while the world has moved on to fancier, bandwidth-hogging platforms like Flash. YouTube is irrelevant on Cuban dial-up, and barely useable on the rare broadband connections. Want to watch the latest episode of "Mad Men?" At 3-5 kilobytes-per-second dial-up transfer speeds, a 500-megabyte video file would theoretically take somewhere between 28 and 46 hours to download from iTunes. 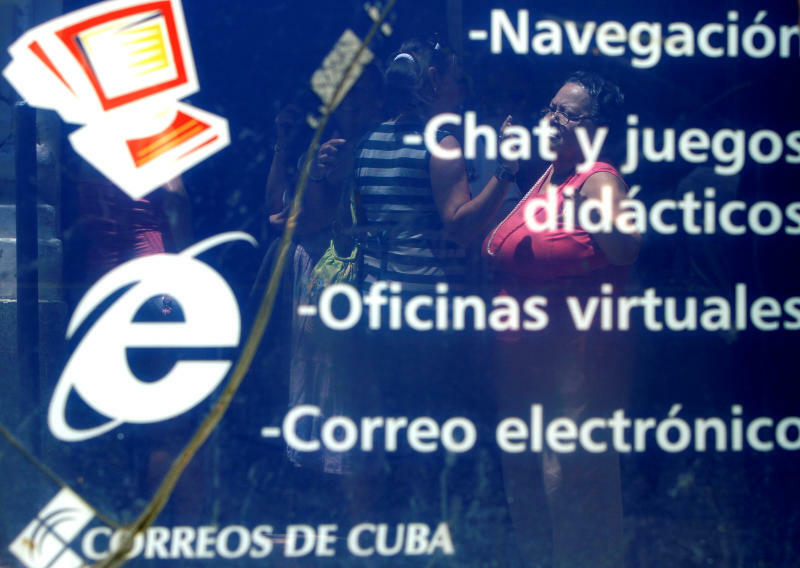 One doctor in Havana said she only has access to Cuba's domestic intranet, a bare-bones internal network of island-hosted sites that also lets users get email. Moreover, her institution recently began cracking down on the few who do have full Internet access, ordering them not to use sites like Facebook under threat of punishment. "The cable must be connected to something or it won't work," said the official, who also spoke on condition of anonymity because he was not authorized to discuss the politically sensitive project. According to government statistics, 16 percent of islanders were online in some capacity in 2011, mostly through work or school, and often just to the intranet. The National Statistics Office said last year that just 2.9 percent reported having direct Internet access, though outside experts estimate the real figure is likely 5 to 10 percent accounting for black market sales of dial-up minutes. For a variety of reasons including the 50-year-old U.S. economic embargo, Cuba is the last country in the Western Hemisphere to get a fiber-optic connection to the outside world, and has relied instead on costly and slow satellite linkups. Some speculate that the Internet-fueled Arab Spring revolts, which began months before the cable's arrival in Cuba, could have altered the government's plan or at least made officials rethink the wisdom of making it widely available. "They're afraid of it. They don't want a 'Cuban Spring,' so to speak," Press said. President Raul Castro's administration has warned of a supposed plot by enemies in the United States to wage a "cyberwar" to destabilize the Communist-run government. In 2011, a Cuban court sentenced U.S. subcontractor Alan Gross to 15 years after convicting him of crimes against the state for importing restricted communications equipment that he insists was only meant to help the island's Jewish community gain better Internet access. The official silence over the fiber-optic cable has given rise to other rumors: that the cable is operational but being used selectively. A pro-government blogger known as Yohandry Fontana wrote at the end of 2011 that people who attended a closed forum on social networks reported it was working fine. Associated Press writers Peter Orsi, Paul Haven and Anne-Marie Garcia in Havana contributed to this report.